Black Country law firm Ian Henery Solicitors has won the Niche Law Firm of the Year award at the annual 360 Legal Awards. The firm’s founder celebrated being shortlisted for three awards - Managing Partner of the Year, Most Innovative Marketing Idea of the Year and Niche Law Firm of the Year. The latest win continues a good year for Mr Henery, who won the Pro Bono/Corporate Social Responsibility Lawyer of the Year award in March at the Birmingham Law Society Legal Awards. The firm has also been shortlisted for two other award programmes later in the year - Criminal Defence Firm of the Year by The Lawyer and Excellence in Business Development by The Law Society. “I was the only law firm shortlisted in the 360 Legal Awards from the Black Country, and, as far as I can tell, the only Black Country firm in the Law Society’s Excellence Awards in London” said Mr Henery - who has three offices in Willenhall and Birmingham. The 360 Legal Awards were held at Chesford Grange in Warwickshire. Louise Gash, marketing director for the 360 Legal Group, said: “The award for Niche Law Firm of the Year is designed to showcase those firms that have decided to concentrate on doing what they are best at. “It is also open to specialist teams, where teams can show that they are doing something genuinely different. “Judges look for evidence of strategic vision, clear focus and success in their specified area of work. Mr Henery originally set up in Willenhall but has branched out to target the Chinese market, with two offices and an estate agency in Birmingham`s China Town. 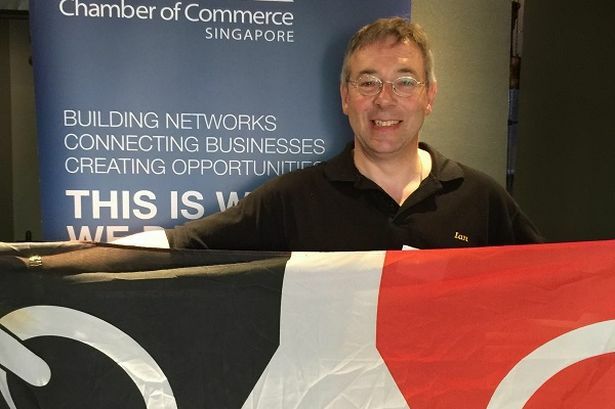 His firm is a member of the British Chamber of Commerce in Indonesia, Malaysia and Singapore. The firm services the needs of Chinese investors working in the Black Country and Birmingham. Chinese lawyers were recruited who could speak a range of different Chinese languages and a Chinese website was also launched. “The world is a constantly changing place” said Mr Henery. “We saw an opportunity to transform, survive and adapt in the market with diversity and inclusion to service the social mobility of Chinese clients internationally and in the Black Country and Birmingham.